In January, 2016 I bagan a project to build Two Kasha Classical “sister” Guitars. 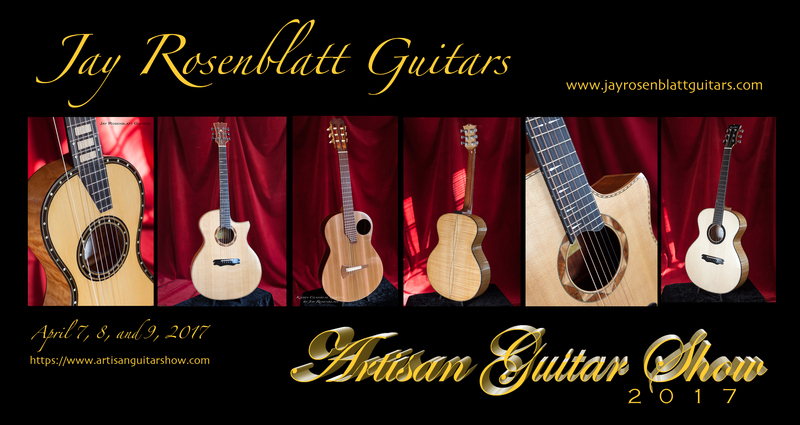 They are being built built with my friend Frank Sole, musician and student Luthier. This project was inspired by Frank. 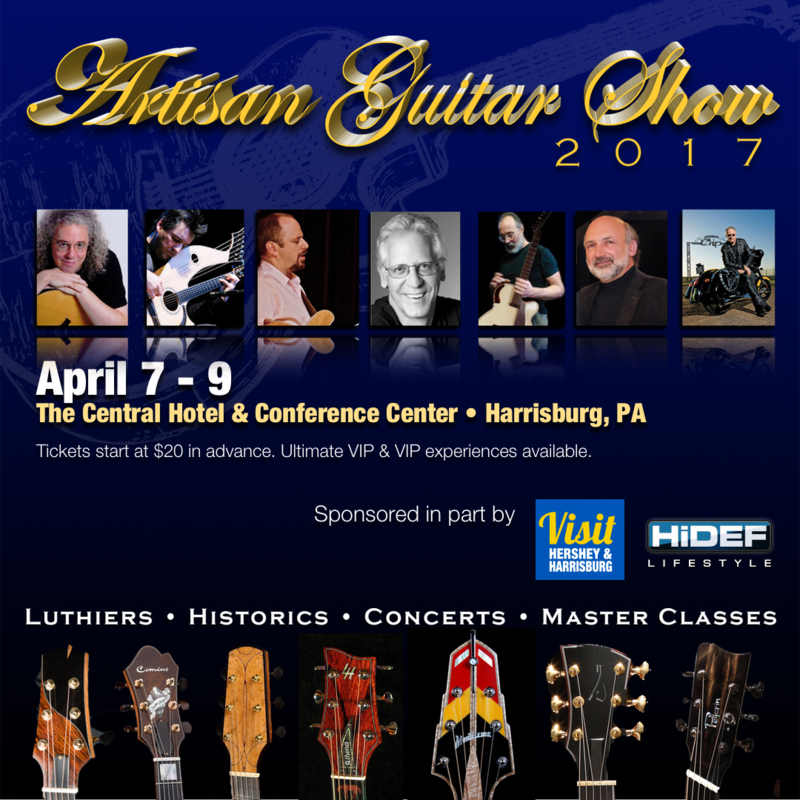 This instrument differs greatly in the bracing design of typical classical guitars and was developed by Dr. Michael Kasha in cooperation with luthier Richard Schneider. The instrument features a bracing design by Dr.Richard Kasha which is star patterned rather than ladder braced and the back braces are arched allowing the back to float independently and act more like a from that moves with the vibrations and air movement in the guitar ,rather that being fixed by rigid cross bracing. The soundboard is designed to increase the energy of the strings as they affect the soundboard and provide an increased bass response. 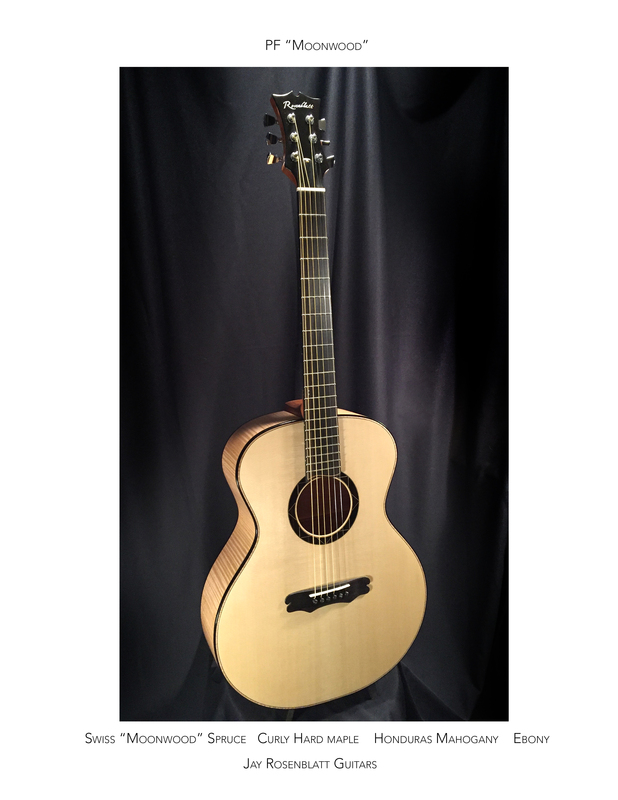 It began with a paper plan from Luthiers Mercantile, the construction of a Solera ( the building form) is based on a design by John Bogdonavitch, luthier. 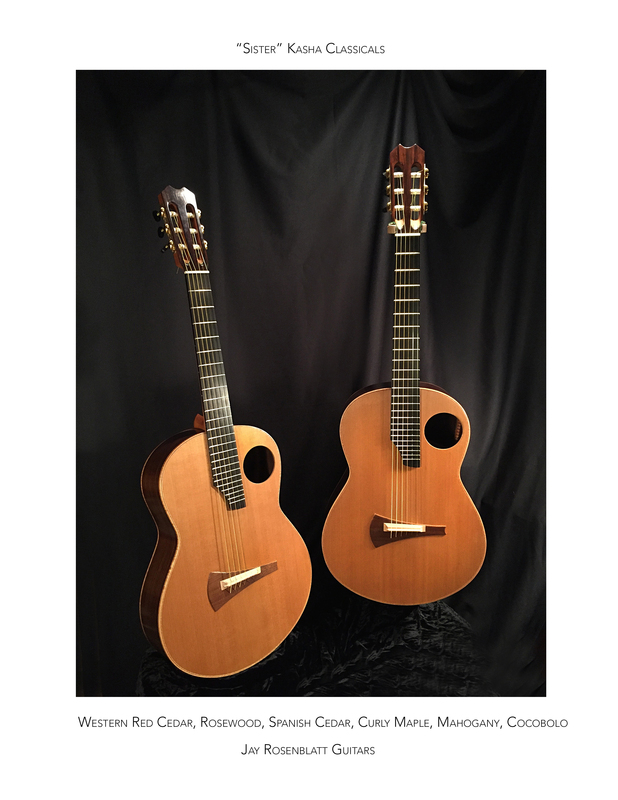 (see his book “Building the Concert Classical Guitar”) The set up on the solera allowed a 2 mm forward tilt in the neck and a ramp of 3 mm built up from the bridge location to the end of the guitar to create the proper string geometry. (now that one guitar is fully complete, that set-up worked perfectly. 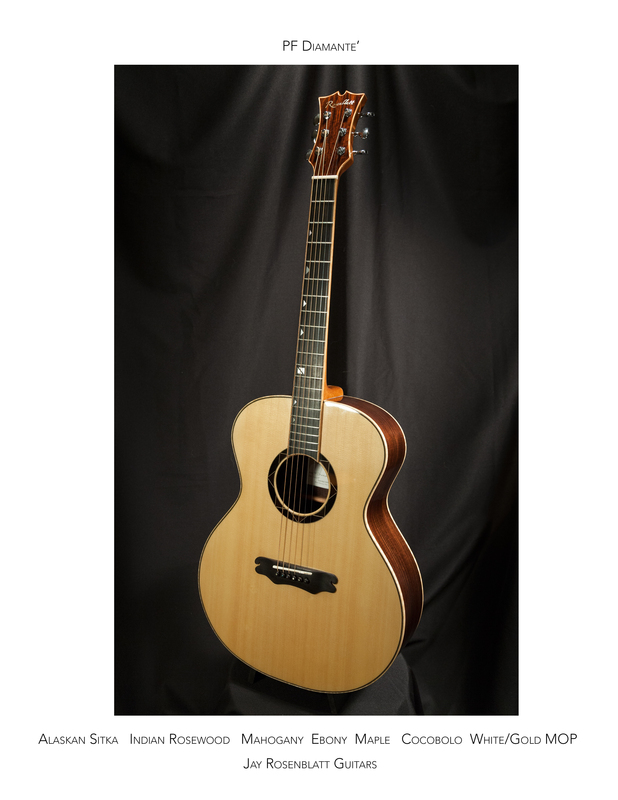 The strings are at the proper height and has excellent playability. 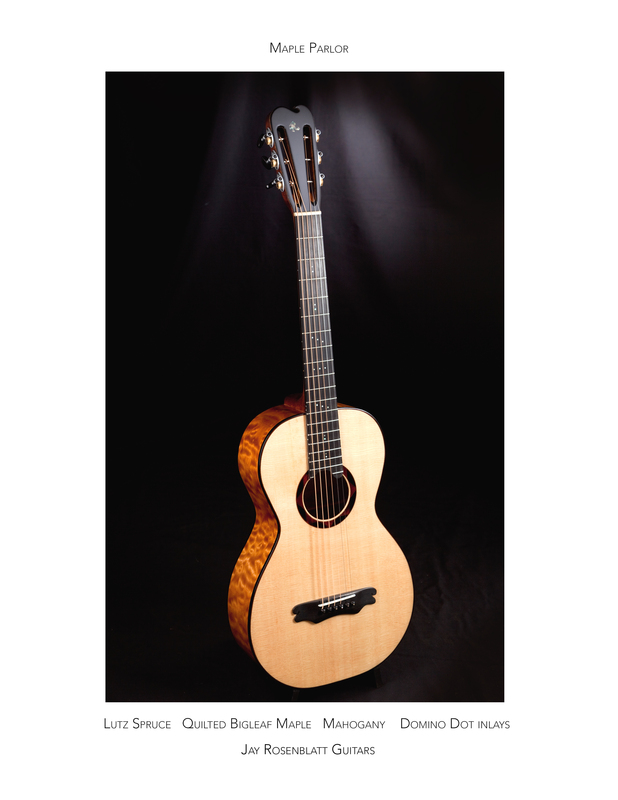 Both guitars are rosewood with rosewood sides, western red cedar tops, Spanish Cedar necks with Mahogany neck blocks. One instrument was constructed with cedar bracing and the other spruce. (these are the only two principal differences between theses instruments. 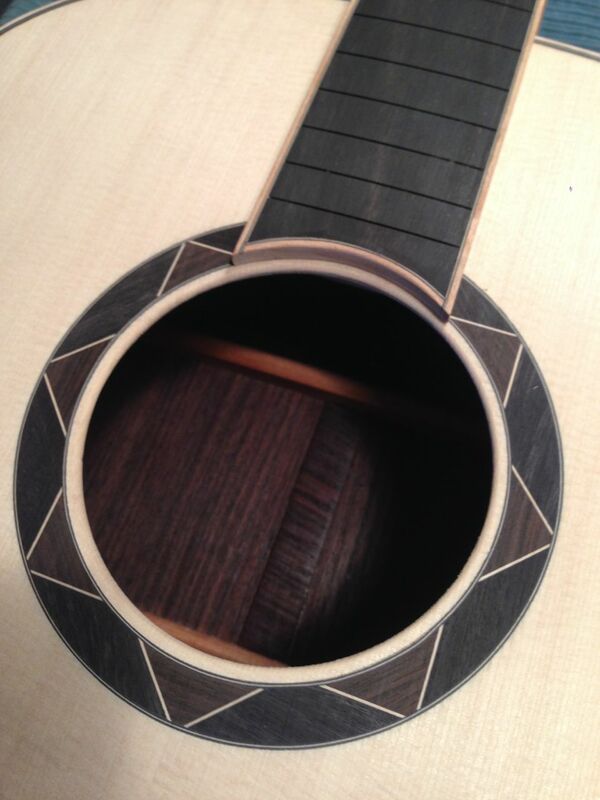 The end port is constructed to allow access to the inside of the instrument for stringing as this guitar uses a through the soundboard string design which differs from traditional classical guitars where the strings on the bridge on the top of the soundboard. 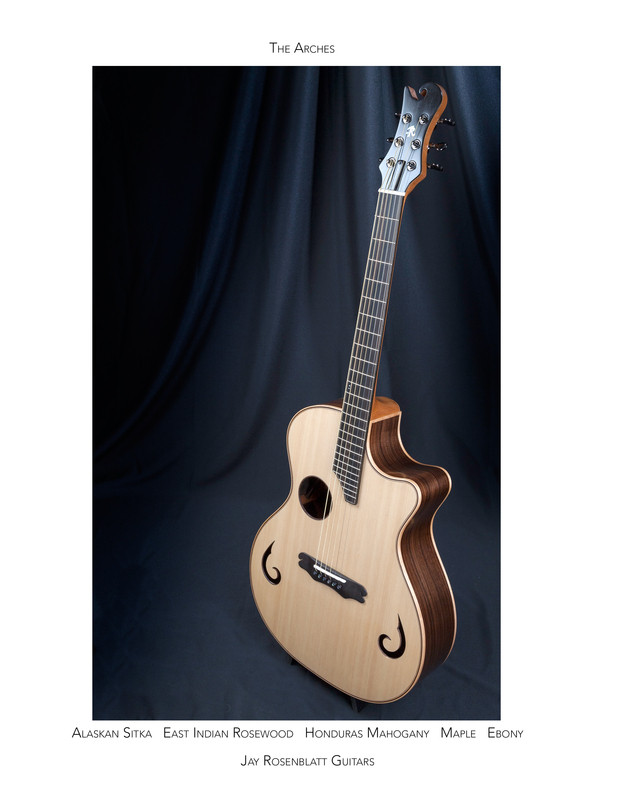 The saddle design here is a three part configuration of American Walnut, Figured maple and bone. It has a bone nut and medium fret wire. The back “floating brace design” is constructed of maple and mahogany laminations. 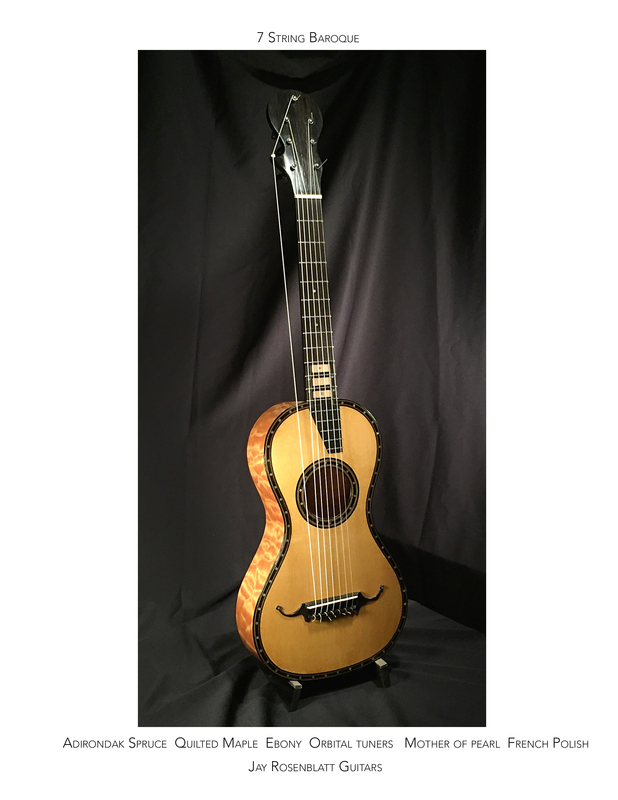 Both instruments were hand finished with French polish. 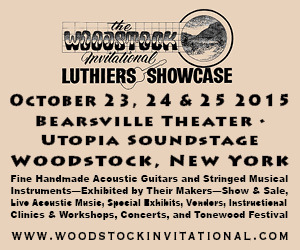 These instruments will be on display and for sale at the Woodstock Luthiers Invitational October 21, 22, & 23, 2016. Inquiries about pre-purchase can be discussed.